Today we speak with Shelley Neese, vice president of the Jerusalem Connection. 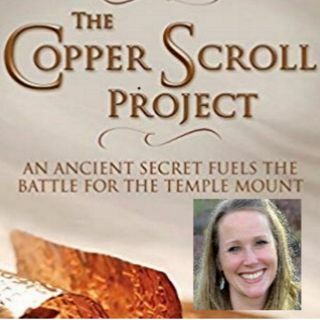 After nearly a decade of writing The Copper Scroll Project, the remarkable story of one man’s quest to decipher the ancient map leading to the gold and silver Temple vessels, is being published. Not only does Neese chronicle this amazing story but she was an integral player in much of it. A native of Louisiana, she first came to Israel in 2000 with her husband, a U.S. Air Force physician. With no knowledge of ... Más informaciones Israel, she became intensely curious about the country and received her M.A in Middle Eastern Studies from Ben Gurion University. She spent the months leading up to the Gaza disengagement in 2005 in Israel, working with a team of negotiators. When she went back to the U.S., she became the assistant to the Consul General at the Consulate of Israel to New England.